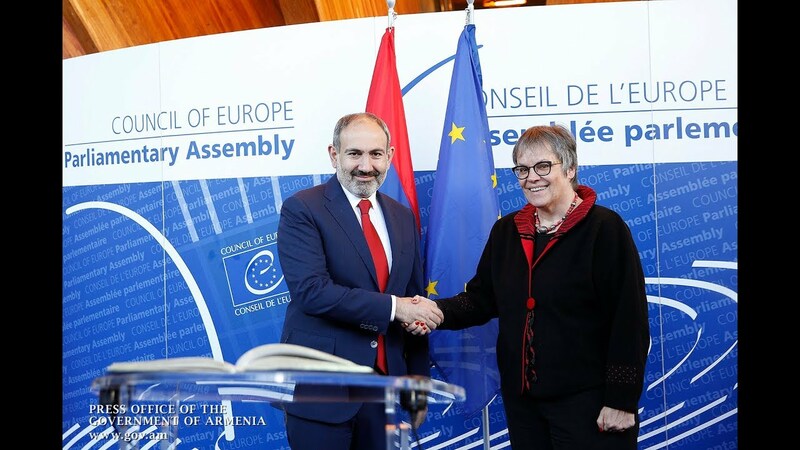 President of the National Assembly Ararat Mirzoyan on Wednesday received the head of the EU Delegation to Armenia to discuss partnership and cooperation plans and the future procedures of facilitating Armenian citizens’ entry into the EU member states. Greeting Ambassador Piotr Switalski in his office, the parliament speaker said that the country attaches a major significance to initiating a dialogue over the process, treating it as a major step towards making the ties more effective. “I think it will be another serious achievement to upgrade our relations to a new level,” he told the ambassador. According to the parliament’s press service, Mirzoyan also addressed the Comprehensive and Enhanced Partnership Agreement (CEPA), agreeing that its ratification by all the member states will lay the groundwork to future progress in the reforms in Armenia, boosting the cooperation with the EU “based on a shared set of values”. He added that they expect the ambassador’s assistance in future joint projects. Mirzoyan expressed hope for a closer partnership with the Union in the field of human rights, cooperation with the civil society and parliament, as well as oversight functions and judiciary and electoral reforms. Congratulating the speaker on his election to office, Switalski hailed his role of a free, fair and transparent parliament leader, saying that he treats the newly-formed National Assembly as a legislative body "capable of promoting a real parliamentarism in Armenia." The ambassador also highlighted the role of inter-parliamentary ties and parliamentary diplomacy, expressing willingness, on behalf of the EU, to assist in institutional capacity development, "relying on the evaluation of the existing needs."